Six Lithuanian swimmers will jump into the Olympic pool in Rio de Janeiro. Giedrius Titenis and Rūta Meilutytė are the favourites to return home with medals. Five male swimmers will represent Lithuania in Rio Olympics. Simonas Bilis, 22, who earlier this year broke the national record with 48.64 seconds in men's 100m freestyle event will compete in two events in the Olympic Games: 50 and 100 meters freestyle. Bilis will also will be a member in the team at the 4 × 100 m medley relay. How many medals will Lithuanians bring from Rio? 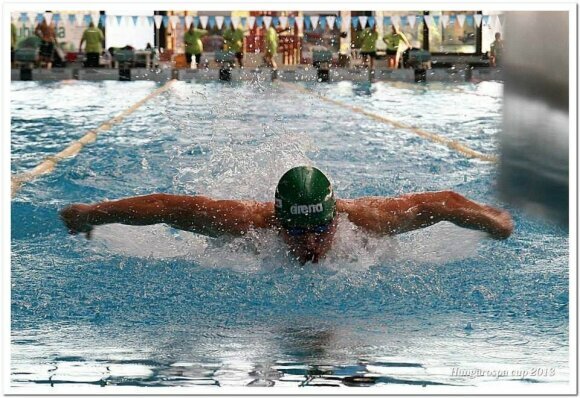 The 2013 European junior champion Danas Rapšys will compete in three single events and in the 4 × 100 m medley relay. The 21-year-old Lithuanian swimmer will race in the 200 meters freestyle, 100 and 200 meters backstroke. Andrius Šidlauskas, 19, will represent Lithuania in the 100 meters breaststroke race. In the 2016 European Championships, Šidlauskas took the 20th place. 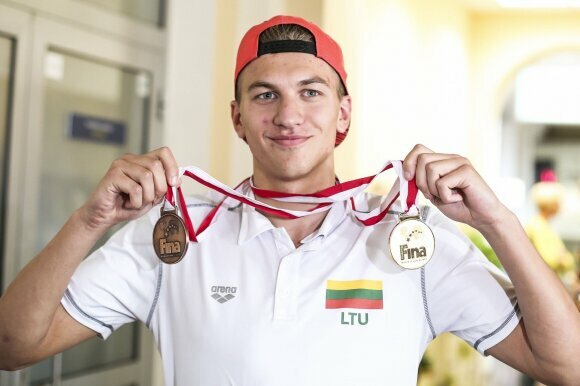 In the 2015 FINA World Junior Swimming Championships, the Lithuanian won gold and silver and is considered as one of the future swimmers of Lithuania. The favourite for a medal among male swimmers is 27-year-old Giedrius Titenis. The Lithuanian won bronze in the 2015 European Championship in short pools that took place in Netanya, Israel. In the same year he claimed his personal best results in 50 and 100 metre breaststroke during the World Championship in Kazan, Russia. Titenis finished 50 metres in 27.20 seconds, while in 100 metre event he achieved his new personal best result of 58.96 seconds. In the 2014 European Championships in Berlin, Titenis won three medals. In the 50 metre breaststroke event, the Lithuanian won silver while in 100 and 200 metre breaststroke he won bronze. During the 2009 World Championships, Titenis won bronze in 200 meters breaststroke and will try to do the same in the Rio Olympic Games. The Lithuanian will compete in 100 and 200 meters breaststroke and in the 4 × 100 m medley relay event. 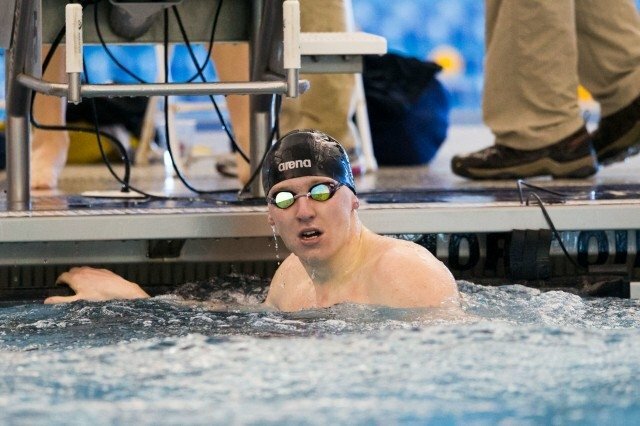 The fourth member in the 4 × 100 m medley relay event, besides Giedrius Titenis, Simonas Bilis and Danas Rapšys, is the 21-year-old butterfly style expert Deividas Margevičius who has triumphed in this year's national championships and was selected to represent Lithuania in 2016 Summer Olympics. In the 2016 European Championships in London, Margevičius took the fifth place in this event and 19th in the 50 metre butterfly event. Only one female swimmer will represent Lithuania in the upcoming Olympic Games: the 19-year-old world and Olympic champion and world record holder, Rūta Meilutytė. In London Olympics, when she was only 15, Meilutytė won gold in the 100 metre breaststroke event. That same year, the Lithuanian star won two gold medals and one silver at the FINA World Swimming Championships in short pools. Meilutytė won the 50 and the 100 metre breaststroke events with a new championship and European records and secured silver in 100 metre individual medley. During this championship, Meilutytė broke Lithuanian national swimming records nine times, European - four times and Championship records also four times. A year later, the Olympic champion continued her streak of success in the European Championships in short pools in Herning, Denmark. There, Meilutytė won two gold medals in the 100m breaststroke and in the 100m individual medley and one silver in the 50m breaststroke. During the same season, the Lithuanian star continued to grab medals. In the 2013 World Championships that took place in Barcelona, Spain, Meilutytė won another gold in the 100m breaststroke event and added a silver one in the 50m race. In the 2014 European Championships in Berlin, Germany, Meilutytė finished first in the 50m breaststroke final. In the 2015 World Championships in Kazan, Russia, the Lithuanian swimmer took silver in the 100m breaststroke race. Earlier this year, in the European Championships that took place in London, Meilutytė stood proud in the first place on the podium after winning another gold.